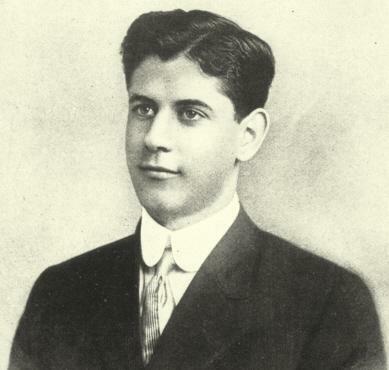 ‘With most admirable pluck, in view of the world-wide renown so recently achieved by the master he has challenged, Rudolf [sic] Pokorny, the new chess champion of Mexico, has declared his readiness to meet José R. Capablanca in a series of 15 games for $500 a side, the meeting to take place in October. 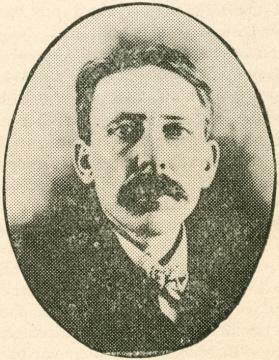 The Cuban has accepted, and a most interesting event is in prospect wherewith to open the fall season of 1909. The conditions of the match will be made public in a short time. The challenger makes some novel propositions, the most revolutionary of which is that every drawn game be scored to the credit of the player having the black pieces, thus throwing the onus of playing to win upon White. Furthermore, he desires to play at the rate of one game, or two if necessary, each day, and under a time-limit of 20 moves an hour. We have noticed that in the August and September issues of your paper reference is made to Mr Rudolph Pokorny as “Mexican champion”, and we present to you the following facts so that you may appreciate the circumstances on which Pokorny stands to call himself “Mexican champion”. Early last spring, the “Club Internacional de Ajedrez México” started a tournament merely for the entertainment of club members and prizes were offered for the winners, but this tournament was never considered as a championship event, because the best Mexican players were unable to attend the tournament, and never did attend it. The tournament was started with 15 entries and some of the participants on several accounts retired before they had played one game. A call was issued to the participants who had retired, urging them to report at club headquarters to play their games and, not responding to the call, it was decided that the tournament be declared ended and that the person who had won the most games be declared winner of the tournament. Mr Pokorny was the one who at that moment had won the most games and therefore he walked out with first honors, but you will see that he has unjustly called himself “Mexican champion”. We also want to rectify the score of Mr Pokorny, which was 21 wins and 4 losses, quite a difference from what he claims. In order to support the above statements, below you will note a protest of the members of the “Club Internacional de Ajedrez México” and we would feel under obligations to you by your publishing this letter in your esteemed paper, in justice to all concerned. ‘The missive speaks for itself, and needs no elucidation on our part. It remains only for us to add that a Mr L. Vallejo was kind enough to place us in possession of details contained in a clipping from a Mexican illustrated paper, at the time of Mr Pokorny’s success. This was the source of the information that led to our introduction of him as champion of Mexico. A subsequent exchange of correspondence with Mr Pokorny personally resulted in the establishment of an understanding between him and Mr Capablanca. The last instalment of what gave every promise of being an important chapter in international chess history was the postponement requested by Mr Pokorny’s manager as published in the October number. 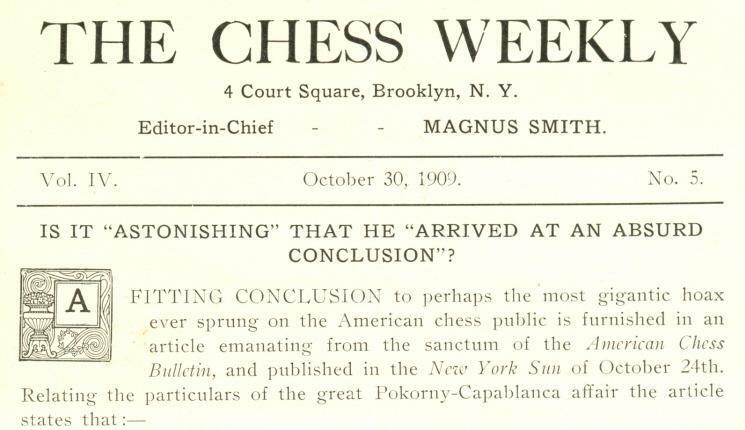 ‘For many weeks the Metropolitan press has been busy with the announcements of a coming great match between the new chess star of America, José R. Capablanca, and some great Mexican player named Pokorny. We, as well as the rest of the chess world, have been waiting with pleasant anticipation for this great event. It is true that the name of Pokorny was quite unknown to us until the busy scribes of the Metropolitan press thrust him upon our notice, but so many astonishing things are happening in chess that we were quite willing to take it for granted that Pokorny was a great player and we had some hopes that Capablanca might even excel his drawing record in this match. But, alas, our hopes have been ruthlessly shattered. 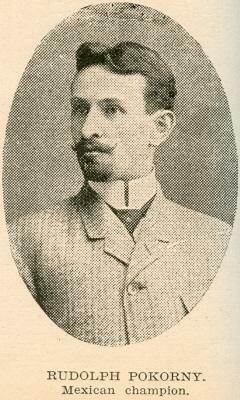 A cablegram has just been received from Pokorny announcing that he had met with some accident, the nature of which was not disclosed, and that the match would have to be indefinitely postponed. Thus, this contest, in company with the Marshall-Showalter match, passes into the misty land of things that never were and never could be. 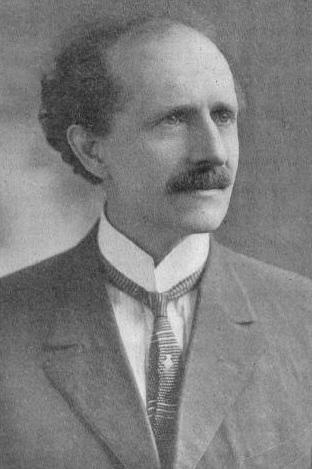 ‘... For weeks the Metropolitan press was steadily supplied with interesting details of most satisfactory progress in the negotiation between the two masters or their managers. Mr Pokorny showed a graceful, though gradual, willingness to yield several points in the initial stipulations, to which exception had been taken when the challenge was conditionally accepted by Mr Capablanca’s press agents. Thus, interest in the coming event was kept at the boiling point during Capablanca’s sojourn in Cuba. The sad intelligence from the house that Jack built caused great disappointment. ... But, coming suddenly from nowhere, poor Pokorny, like Biela’s comet, having burst into splendor, seems to have “blown up” or vanished into thin air – or gas. 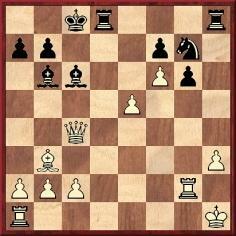 We have suffered the most intense excitement during the rise and fall of this overcharged chess meteor and, with others, would like to know whether Pokorny had a real existence and met with an accident resulting in disintegration, or was composed of such stuff as dreams are made of and properly faded away when someone “accidentally” fell out of bed. Our first thought, after perusing the fervid lines of the above auto-obituary, was one of unutterable regret that a peer of the immortal Morphy had passed out of the world of chess without leaving behind so much as a trace to mark the play of his genius. It then occurred to us that we had never seen anything like this quotation in the American Chess Bulletin. A reference to the latest issues of the Bulletin proved a fruitless search. Still, it must be there, for: “if you see it in the Sun, it’s so”, is it not? It must be simply that we cannot see it. 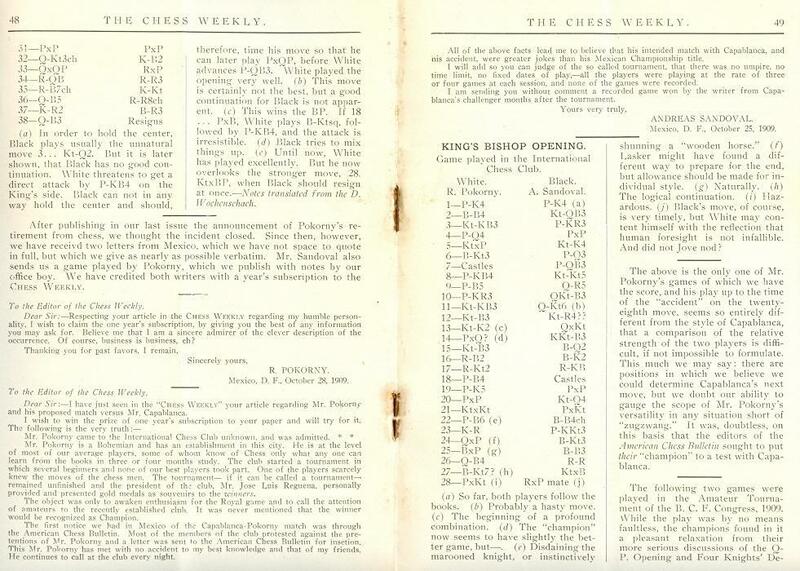 We see no further references to the affair in the Chess Weekly, which closed down with its 12 March 1910 issue. Is it possible to find anything about Pokorny in the Mexican press?